Spanish Harlem, NY – Nuyorican/Massarican poet Jaime “Shaggy” Flores, is one of many respected Nuyorican poets featured in a new book-length academic study of Puerto Rican poets and the Nuyorican Poetic Arts Movement by scholar Urayoán Noel. Release in May of 2014, the 230 page publication available through University Of Iowa Press is a comprehensive look at the movers and shakers of the Nuyorican Poetic Arts Movement. “In Visible Movement” is a critical analysis of the development of the Nuyorican poetry movement, from its mid-twentieth-century barrio roots to the contemporary global stage. Since the 1960s, Nuyorican poets have explored and performed Puerto Rican identity both on and off the page. Emerging within and alongside the civil rights movements of the 1960s, the foundational Nuyorican writers sought to counter the ethnic/racial and institutional invisibility of New York City Puerto Ricans by documenting the reality of their communities in innovative and sometimes challenging ways. Since then, Nuyorican poetry has entered the U.S. Latino literary canon and has gained prominence in light of the spoken-word revival of the past two decades, a movement spearheaded by the Nuyorican Poetry Slams of the 1990s. Today, Nuyorican poetry engages with contemporary social issues such as the commodification of the body, the institutionalization of poetry, the gentrification of the barrio, and the national and global marketing of identity. What has not changed is a continued shared investment in a poetics that links the written word and the performing body. 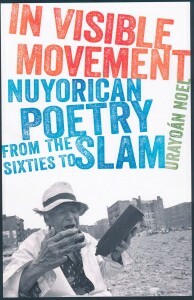 The first book-length study specifically devoted to Nuyorican poetry, In Visible Movement is unique in its historical and formal breadth, ranging from the foundational poets of the 1960s and 1970s to a variety of contemporary poets emerging in and around the Nuyorican Poets Cafe “slam” scene of the 1990s and early 2000s. It also unearths a largely unknown corpus of poetry performances, reading over forty years of Nuyorican poetry at the intersection of the printed and performed word, underscoring the poetry’s links to vernacular and Afro-Puerto Rican performance cultures, from the island’s oral poets to the New York sounds and rhythms of Latin boogaloo, salsa, and hip-hop. With depth and insight, Urayoán Noel analyzes various canonical Nuyorican poems by poets such as Pedro Pietri, Victor Hernández Cruz, Miguel Algarín, Miguel Piñero, Sandra María Esteves, and Tato Laviera. 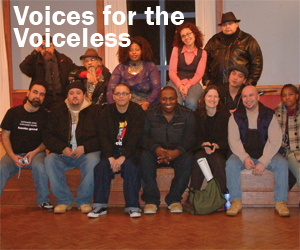 He discusses historically overlooked poets such as Lorraine Sutton, Louis Reyes Rivera and innovative poets that typically read outside the Nuyorican tradition such as Frank Lima and Edwin Torres, and a younger generation of Nuyorican-identified poets including Shaggy Flores, Bonafide Rojas, Caridad “La Bruja” De La Luz, Willie Perdomo, María Teresa Mariposa Fernández, and Emanuel Xavier, whose work has received only limited critical consideration. The result is a stunning reflection of how New York Puerto Rican poets have addressed the complexity of identity amid diaspora for over forty years. 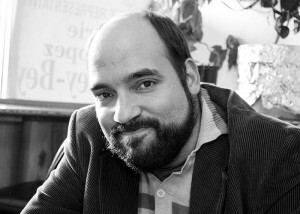 Urayoán Noel is a poet, performer, scholar, and translator who is currently an Assistant Professor of English at SUNY Albany and Visiting Assistant Professor of English at NYU. His books include the poetry collections Kool Logic/La lógica kool (Bilingual Press, 2005), Boringkén (Ediciones Callejón/La Tertulia, Puerto Rico, 2008), Hi-Density Politics (BlazeVOX, 2010), and Los días porosos (Catafixia Editorial, Guatemala, 2012), and the critical study In Visible Movement: Nuyorican Poetry from the Sixties to Slam (University of Iowa Press), is forthcoming. His creative and critical writings have appeared in Latino Studies, Contemporary Literature, Small Axe, Bomb, Fence, and in numerous national and international anthologies.